BOGOTA, Dec 20 2012 (IPS) - Colombia’s large-scale agricultural producers and peasant farmers managed to listen to each other for the first time about the core cause of the decades-long armed conflict: the concentration of rural land ownership and the social and economic development of the countryside. The exchange of views took place at a three-day forum held in Bogota at the request of the negotiators taking part in the peace talks between the government of Juan Manuel Santos and the Revolutionary Armed Forces of Colombia (FARC), which began a month ago in Havana. The left-wing FARC emerged in 1964 from a group of peasant farmers who were forced in 1948 by violence waged by large landowners and the government to colonise land abandoned by the state, which they defended with guns since 1950. Six decades and hundreds of thousands of victims later, there is little public information about how the peace talks are going. But it is clear that the different sides see the question of land ownership as lying at the centre of the hostilities. It is the first point on the agenda for the talks, which were unexpectedly announced in late August, after two years of secret preliminary negotiations. The forum on “integral agrarian development”, which ended Wednesday Dec. 19, was organised by the United Nations Development Programme and the Centre of Thinking and Follow-up on the Peace Talks, an ad-hoc body set up by the National University of Colombia. The organisers brought together 1,314 delegados – 33 percent of whom were women – from 522 social and business organisations representing 15 productive sectors from around the country. The debates of the commissions, made up of 20 groups of 60 to 90 people on average, were closed to the press. The conclusions of the debates were sent to a final plenary session. The delegates discussed the different issues contained in the first point of the peace talks agenda: access to and use of land; unproductive areas; the formalisation of property ownership and of rural labour; the agricultural frontier and protection of nature reserves and communally owned indigenous and black territories; rural development programmes; and infrastructure. Other issues debated were the social development model; incentives for agricultural production, cooperatives and a solidarity economy; technical assistance, subsidies, credit and marketing; and food security. The conclusions compiled by the commissions included all of the contrasting positions, as well as the areas where agreement was reached. The final document will be presented to the negotiators on Jan. 8 in Havana. The statistics from the Colombian countryside speak for themselves: 1.15 percent of rural property owners hold 52 percent of the agricultural land. The country’s Gini coefficient, which is commonly used as a measure of inequality of income or wealth, stood at 0.87 in rural areas – one of the highest levels of inequality in the world given that a score of 1.00 would represent a single person or body owning all of the farmland. 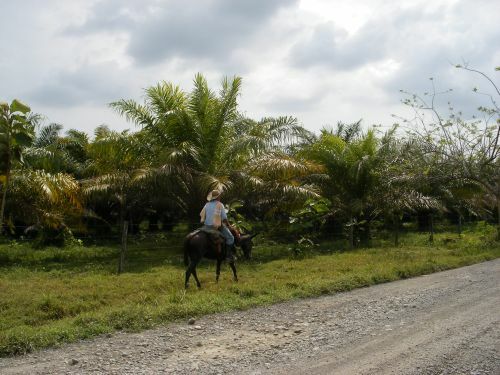 Currently, 38 million hectares are used for large-scale cattle-ranching. But if that total was cut in half, neither productivity nor profitability would be affected, said Agriculture Minister Juan Camilo Restrepo. Meanwhile, just five million hectares are dedicated to agriculture, when at least 22 million are needed. Optimising land use would bring greater prosperity and profits, Restrepo said in late November. But he added that this cannot be imposed by decree. Rafael Mejía, the president of the rural association of Colombia, which represents large landowners and agribusiness interests, punctually attended the forum. “I came to listen to you, and for us to be listened to with respect and civility. We managed to do this, and I am satisfied,” he said in his brief closing message. “I listened to you attentively. I have learned from all of you….We have to learn to turn the page if we want to build, all together…a rural sector like the one we all want, where we all have a place,” he added. But Jesuit priest Francisco de Roux, provincial of the Society of Jesus’s Colombia Province, stated in his own closing remarks that “What Colombia is doing is discussing the model to be applied, even if some say it is not negotiable. “The model that we have had until now has produced inequity; it is at the heart of the conflict; it has to do with the mass migration caused by forced displacement; and it has not produced the expected economic growth in the rural sector,” said the priest, who is an economist known for his work on behalf of the country’s poor farmers. But the Colombian federation of cattle ranchers refused to attend the forum because the resulting conclusions would go to the peace talks with the FARC, the federation’s spokesman, José Félix Lafaurie, told the press. Lafaurie, who has been accused of ties to the far-right paramilitary militias, argued that many cattle ranchers have been the victims of the rebel group over the past decades.